Almost every month on twitter now has its own associated art challenge with #inktober probably being the biggest. Last year I did inktober and an IllustrationHQ small drawing challenge but this year instead of doing lots of other things I took part in #MarchOfRobots which is bigger on Instagram run by Dacosta! aka ChocolateSoop. 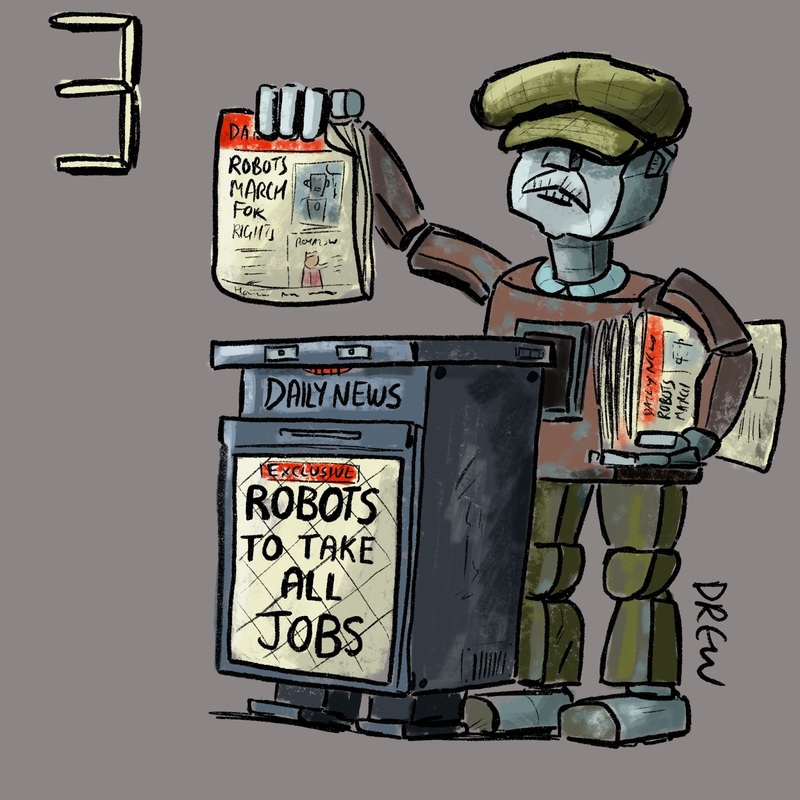 So every day of March I had to find a robot occupation for that day’s prompt for example on day 6 the prompt was ‘key’ so I came up with a robot writer (which is also the theme of a cartoon I drew for the current issue of Private Eye). 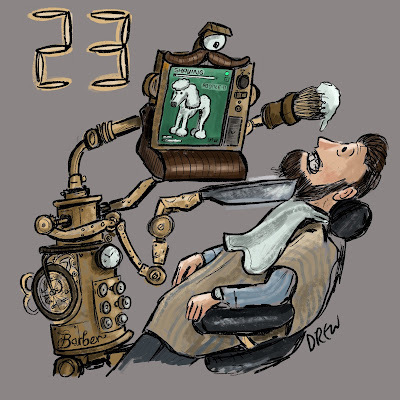 One of the joys of this project was adapting old or current technology to make strange robots like this BarberBot. Finally this was my favourite robot drawing from the whole month because I like the mini story contained within the illustration of a fortune telling AI. You can see all 31 of my images including a Peter Crouch football robot gag on my twitter account (@cartoonsidrew) in the moments section. This week's Thursday night #PortraitChallenge over on Twitter was to reinterpret a 1907 photograph of Maud Wagner circus performer and the first known female tattoo artist (you can read the Wikipedia article here). Drawing people and getting likenesses is currently one of my favourite challenges but drawing heavily tattooed people adds an extra layer in that you have to do the added artwork without making it look like it is just drawings on top of drawings but is actually on the skin. I used Procreate and procrastinated for several hours just drawing Maud's face and skin before diving into the wonderful array of tattoos including lions, snakes, horses, butterflies and down on the arm what might be seahorses or some other creatures. The other challenge is the photograph is sepia so you had to imagine your own colour scheme which actually made it more interesting. All in all I think I took three hours on this and I did do a thread of progress pictures and a 30s time lapse if you want to see how it built up. There are always crime shows on in our house so I was thinking of starting to draw some of the detectives from the telly. 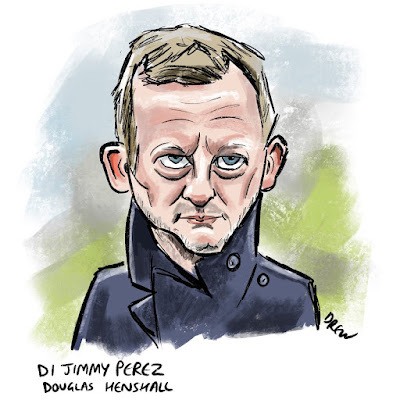 This is the brilliant DI Jimmy Perez played by Douglas Henshall. What makes Shetland is the combination of the characters and the unique setting. For some reason it reminds me a bit of Taggart with it's Scottish grit and indeed sometimes they have to leave the island for the big smoke of Glasgow where we can spot local landmarks. Shetland is an adaption of the Ann Cleeves novels (who also wrote Vera) shown on the BBC but made by ITV studios. With so many murders every night I'm actually quite dismissive of a lot of generic detective shows (oh he's a maverick is he?) so I'm not sure who I'll tackle now. In the meantime if you are into crime shows you should give this one a go. Another epic year passes with more news of inept governments and impending disasters so what better way to look back than at 18 cartoons I did this year some of which got published and some of which belonged firmly in the reject pile. Either way I always enjoy looking back and telling the story of 12 months in topical cartoons and so here is one of those lists but without making you scroll through clickbait-y adverts. I drew this cartoon at the start of the year but all year long there was a steady drip drip of stories about how much Facebook knows about it's users and who they were sharing it with and what that data could be used for. I'm sure it's all better now. Art challenges on social media are often good for sparking off ideas and taking you down tangents you wouldn't have thought of otherwise. In this case it was drawing something about tardigrades the super resilient micro-animals around mothers day. This went about as viral as any of my comics went this year. If I were an American cartoonist I imagine I'd spent most of 2018 drawing Trump cartoons given the amount of news his behaviour and tweets generate. I did attempt a few this year one of which about his cancelling of the Iran treaty did make it into print but I enjoyed drawing this one the most. The Space Force is the Trump administration's idea of allowing the US military to weaponize space with a new branch to sit alongside the Navy, Air Force and Army. This animal on a computer cartoon ended up in the Eye and was reprinted in the Week. Looking at all my cartoons I've noticed I draw many many drawings of animals and people sitting in-front of screens. 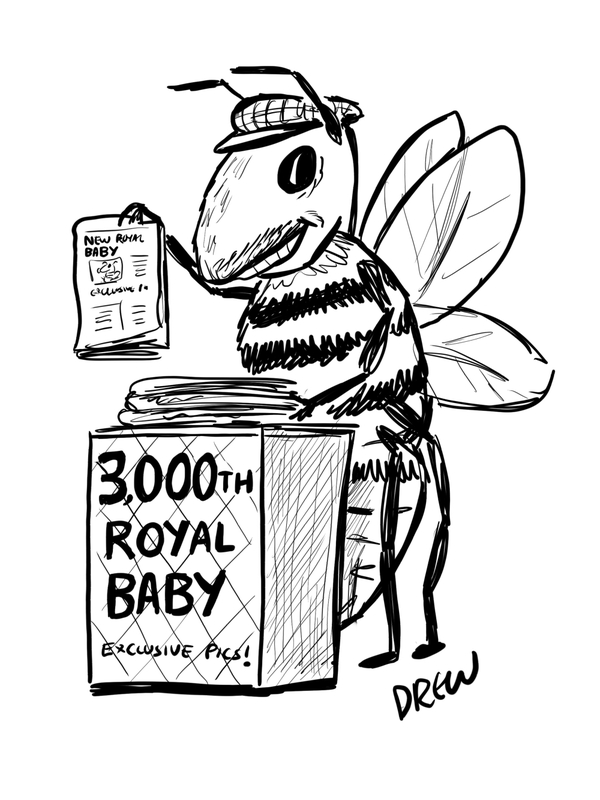 If I had to pick my favourite cartoon I drew this year it would probably bee this one about the third royal baby from Kate and William. 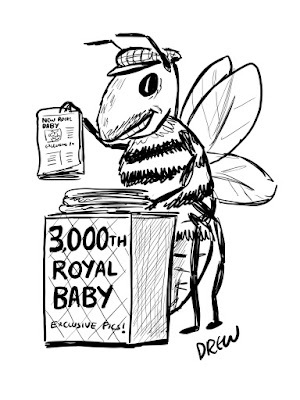 The news outlets do like a good story about the royals to break up all the domestic political goings on. 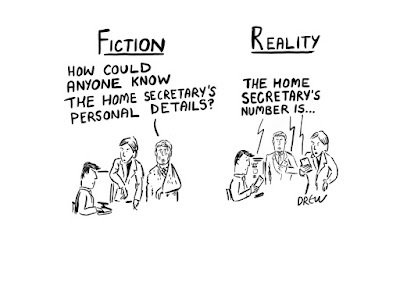 This cartoon and the next three were all in a run of three consecutive issues of Private Eye that I had cartoons in. GDPR stands for General Data Protection Regulation an EU regulation on data protection and privacy which no-one who had ever worked in IT or signed up for any online service could avoid around the May 25th deadline. Everyone from charities, small clubs to every online shop and website had to get in touch with anyone they had details on to talk about how they were going to responsibly police their data resulting in a deluge of emails. 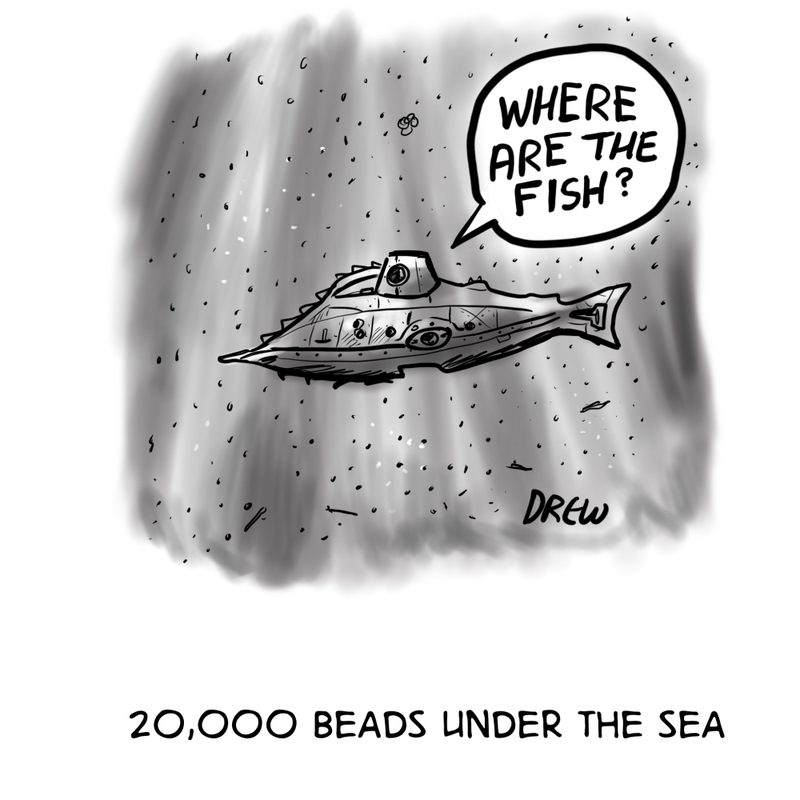 This is one of those relatable topical cartoons which was perfect for the time but won't mean too much in the future. Plastic pollution was a huge topic in 2018 and an environmental issue few could argue against with lots of evidence that it was harmful to marine life. By the end of the year my own children were quizzing us on our own use of single use plastics having been taught about it in school. 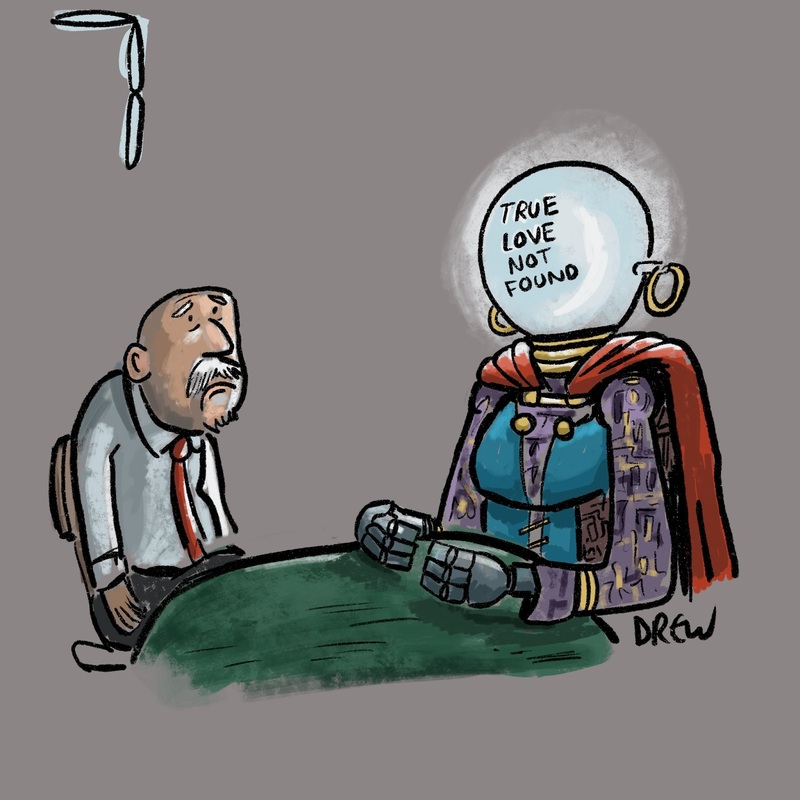 There were lots of cartoons on the subject floating around and I was glad one of my own to the pile. One of the creepiest videos of 2018 was of the robot dog being developed by Boston Dynamics that could open doors. Sometimes you spend ages trying to come up with a gag and sometimes they just come to you quite easily like in this case. Every year there is one or two topics or ideas that come into my head over and over again when I'm thinking what to draw. Quite often like in the case of fidget spinners and slime I never come up with a great gag and they all end up in the reject pile but it's fun trying. Alexa was one of those topics of 2018 when I had a summer holiday, Christmas and other variants on the same theme. However one of my older Alexa jokes was quite popular one of the days Alexa went down. You would think the omnishambles that is Brexit would be a constant source of cartooning comedy but it isn't a subject I find it easy to come up with good gags for. For one there are already lots of cartoons out there on the subject and so another off a cliff cliche isn't going to wow anyone if you don't have a good angle. About the best I did in 2018 was there was a story about luxury cheese being hard to find after a No Deal Brexit resulting in this cartoon. With the World Cup in Russia we were expecting the main England football story to be hooliganism not that a new manager in a waistcoat would turn a decent young team into semi finalists. Watching England not being rubbish was perhaps the closest my 2018 to a real good news story. The other World Cup story was VARS the video referee that they chose to trial on the biggest stage rather than perfect it in some other leagues. The NASA Parker probe launched in August is on a mission to the outer corona of the Sun. Here is my attempt at a gag about it. 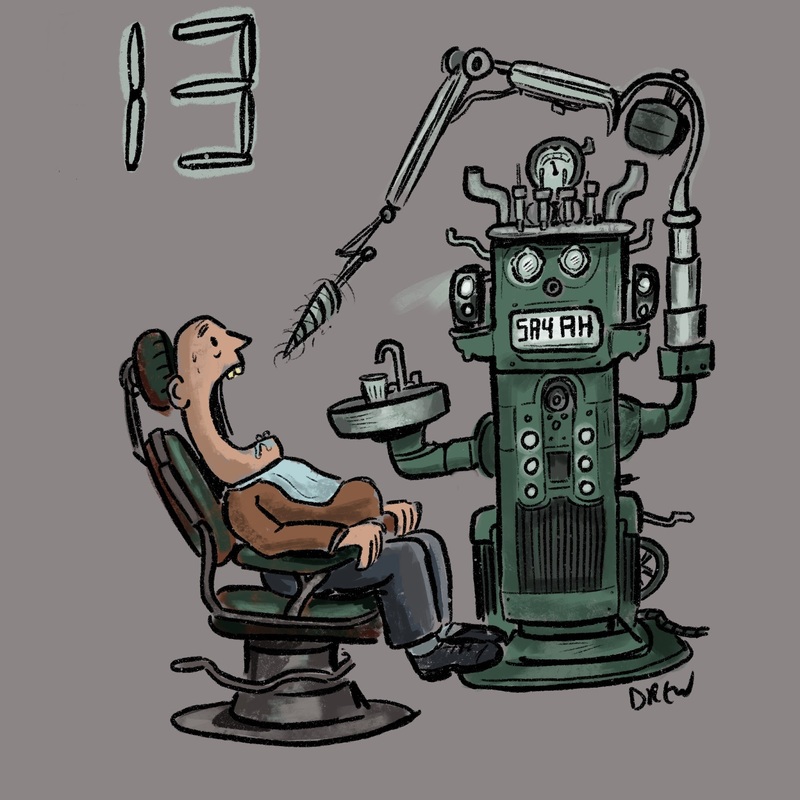 This topical cartoon combines two of my favourite themes the ineptness of the ruling Conservative party and technological mishaps. It is based on the BBC's Bodyguard series which was perhaps my favourite TV drama of the year (although they wrapped it up a bit too conveniently). As a visual gag there was perhaps too much going on but Private Eye did use it for the basis of a (better) written joke so the idea got published even if the visuals never were seen until now. The Conservative Conference gave us another great 2018 moment in Theresa May's speech which didn't involve cough sweets and props falling down like last year but strange dance moves as she came on. It gave me a chance to practise my caricaturing skills both for her and the Strictly judges. Some of the the best BBC content is the David Attenborough nature documentaries which this years was the Dynasties series. I drew this cartoon before I'd watched it and maybe it isn't the funniest but I did like the drawing of the elephant. This one is from @studioteabreak's Monday #MythicalMashup challenge which gives you two prompts one of them mythical and can lead to all sorts of unexpected places. In this cartoon I got Rudolph to deliver some devastating social commentary on the injustice of Santa which I have tried before in other forms but this one has a certain charm about it. And to remind it off a reminder that you just can't escape from some stories and we have months of Brexit stories to keep us going in 2019 and probably for the rest of your natural lives. So that's my 2018 batch done - hoping you all have a good 2019 and that in twelve months time I have 19 more to share with you again (unless society has collapsed). MIFA stands for Missing In Footie Album and is Dave Will's pre-World Cup project to have artists and illustrators across the globe make football sticker designs for all the players who are in the 2018 World Cup squads but didn't make the official Panini sticker album due to squads being announced and changed after the official album is finalised. I only discovered this fun project when Peter Rasmussen or @badlydoodled who I follow on Twitter posted his entry and so I dived in to pick a player while there were still some left. Some furious scribbling later and messing around between multiple apps and my entry is one of the 254 on show by over 150 artists and there is a great variety of styles and some stunning artwork. I chose Bartosz Bialkowski from the Poland Squad who plays for Ipswich Town in the English Championship. He made his international debut aged 30 back in March although he has strong competition from the usual No.1s of Fabianski (Swansea) and Szcesny (Juventus) for a starting place in the squad. A three part comic for this year's Cleft Awareness Week based on my son recent Alveolar Bone Graft surgery back in February from a parents viewpoint. The last two Cleft Awareness Weeks I have posted comics the first one covering the time from when my son was born with an undiagnosed unilateral cleft lip and palate (it wasn't detected on any of our pregnancy scans) through the first two surgeries to primary school. The second comic was more of a general awareness/information comic that did touch on some of the pre-bone graft nerves. This year we have undergone the major surgery we hinted at in the last two year's comics the Alveolar Bone Graft where they take some bone from a hip or shin to fill in the gap in the gum to allow the adult teeth to come in better without a gap. You can read how our experience was from Pre-Op through Post-Op to Recovery. Perhaps because it was so recent I have gone into more detail and indeed I could have added lots of extra detail but I tried to cover all the main highlights which seemed to involve me drawing a lot of people sitting or looking at tablets/phones. Here are some other general points that may explain some things from the comic. This is just our experience other parents and hospitals may do parts of this differently. If you are looking for advice for how your bone graft will proceed your local cleft team will be able to help. If you are looking for a way of explaining the procedure this new video from Great Ormond Street Hospital is great. My son is doing great but until we get X-Rays in a few months time we won't know if it has been successful or not. Our surgery took place at the recently built Royal Hospital for Children in Glasgow which meant I got to draw some cool modern buildings and interiors (the Atrium of the main adult hospital next door is quite impressive). Our earlier surgeries were at Yorkhill which while it was older did mean you were on wards with others not in your own separate room where you didn't see the nurses and doctors moving around. Unusually the surgery was on Sunday and we were first up so the hospital was a bit quieter. The recovery at home did involve a lot of Youtube watching but we did try and get our son to move around sometimes. Unfortunately Scotland was hit with a big snowfall and so we were stuck in the house for the first week. By the second weekend we did get out and about a bit. You can get more information on cleft lip and palate from the Cleft Lip and Palate Association (CLAPA) website. This is a UK based charity there may be other organisations in other parts of the world. We have found this charity invaluable for meeting other parents going through the same experiences. 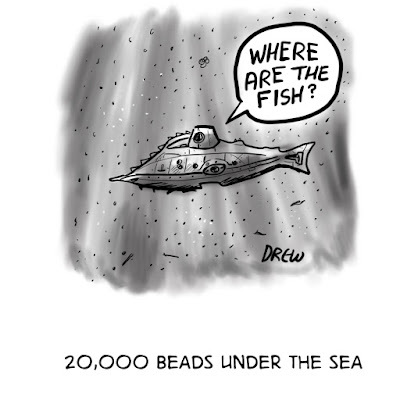 This comic is one way of us trying to give back to the community that helped us through the bone graft by demonstrating how it was for us down to mundane details. It is safe to say that from the moment our son was signed off speech therapy this surgery was on our mind. Then when you start getting appointment letters you try and anticipate everything that is going to happen even when you don't know exactly when the actual surgery will be. For example we booked no holidays away from the house for the whole first half of this year because we were unsure if we would be able to take them. Finally thanks to everyone inside and outside the cleft community who has shared or commented on these comics. It has been great speaking to others who either have gone through or are going to go through the same surgeries. 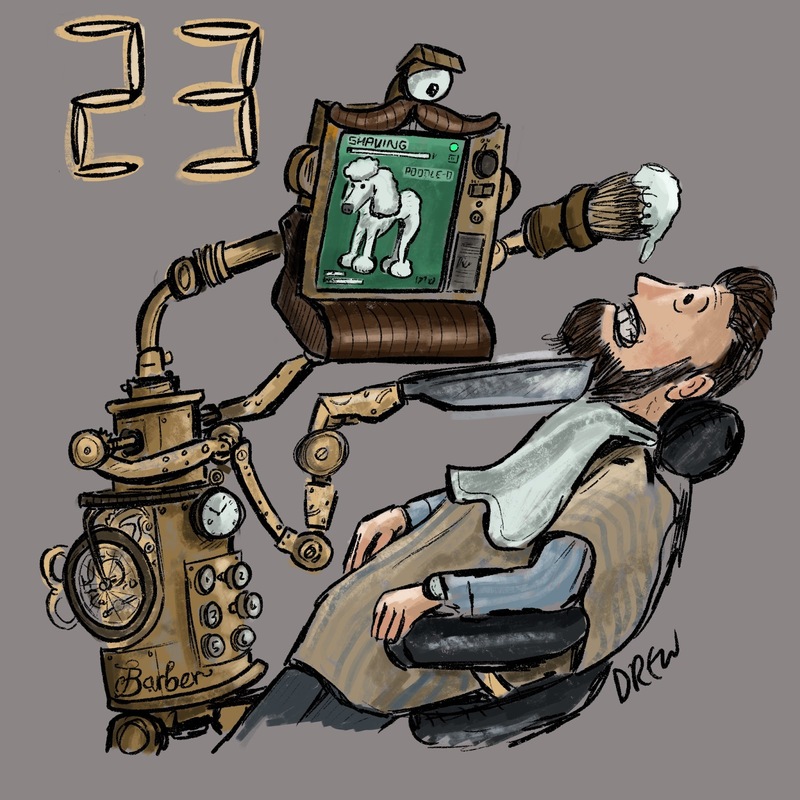 Over the last few years I've taken part in more and more Twitter art challenges starting with the Virtual Studio setup by Sarah McIntyre which currently does #MythicalMashup (Mon), #ShapeChallenge (Tue/Wed), #PortraitChallenge (Thurs). 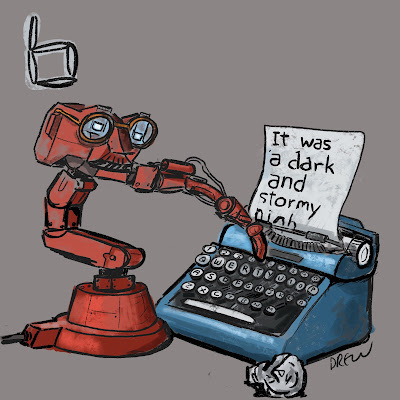 If you want to have a challenge a day you can do #colour_collective on Friday which tends to have more finished pieces and #SaturdayScribbles on Saturday. The theme for #SaturdayScribbles was whales and I decided to draw various whales (See above), but as I searched for whales to draw I became drawn into the what is a whale and when is a whale actually a dolphin even if it still a whale. The wikipedia entry has Whales down as an informal group within the Cetacea order usually excluding dolphin and porpoises. If you google 'are dolphins whales' you will find the internet does not have a coherent position (quelle suprise! ), and it doesn't take long to find examples of marine mammals that are called whales but are infact dolphins e.g. the killer whale or orca. This is of course down to the way humans have named animals like when ancient Spanish mariners called orcas whale assassins which was translated into killer whale. There are 5 other dolphins that are named whales including the False Killer Whale who must be really annoyed at not only at being mistaken for a killer whale, and being thought to be extinct, but not ever getting their own name. Yet in the end until dolphins/whales understand English they are never going to get annoyed at what we do or don't call them.